Today is fellow beer writer Don Russell’s 63rd birthday. Don wrote a beer column for the Philadelphia Daily News under the nom de plume Joe Sixpack. He also writes a blog online, Beer Radar. His most recent book, What the Hell Am I Drinking?, was published two years and can still be ordered directly from the author. Don also became the first executive director of the Garden State Craft Brewers Guild, the trade group for New Jersey breweries. More recently, he accepted a position as the editor-in-chief of Broad Street Media. Don is also a fellow Pennsylvanian, a crack card player, and one of my very favorite people to share a beer and discuss the issues of the day with. Join me in wishing Don a very happy birthday. 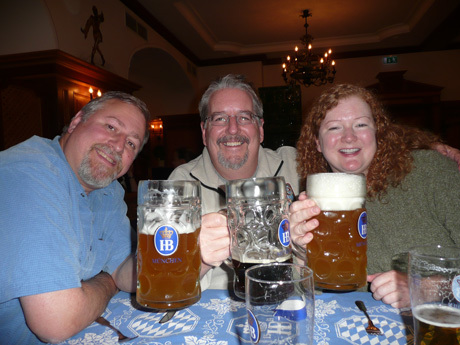 Don (center) with me and Lisa Morrison at the Hofbrauhaus in Munich during a press junket to Bavaria several years ago. 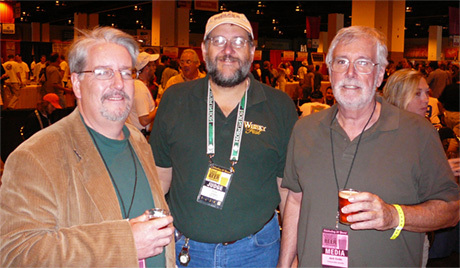 Don, with fellow Pennsylvanians Lew Bryson and Jack Curtin at GABF. 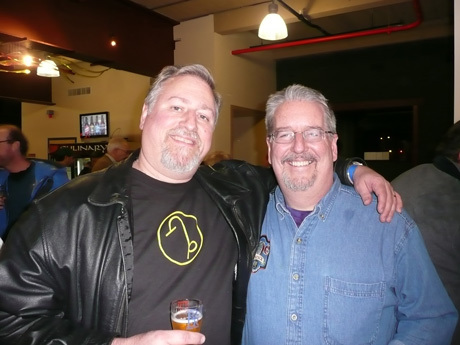 Me and Don at the kick-off for the first Philly Beer Week in 2008. 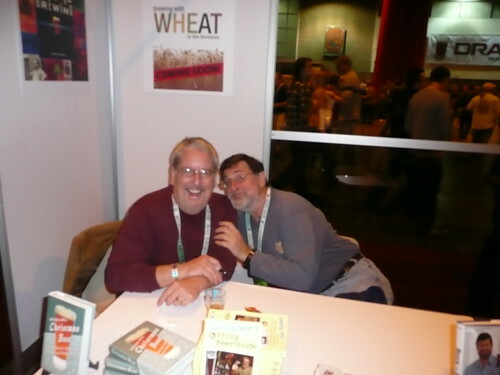 Don with Pete Slosberg, signing books at GABF a couple of years ago. “Almost?” Larry, I’ve already booked my room!